On Wednesday, May 27th, close to 30 mayors and other elected officials from communities across Northern Ontario and Northern Quebec held a press conference in Ottawa, Canada’s capital, to highlight the inaccurate and deceptive anti-forestry campaign being waged by Greenpeace and other like-minded activists. Following the press conference, the regional leaders met with a range of federal officials and frankly discussed their concerns regarding market campaign activities, which specifically target the purchase of products from Canada’s boreal forest. 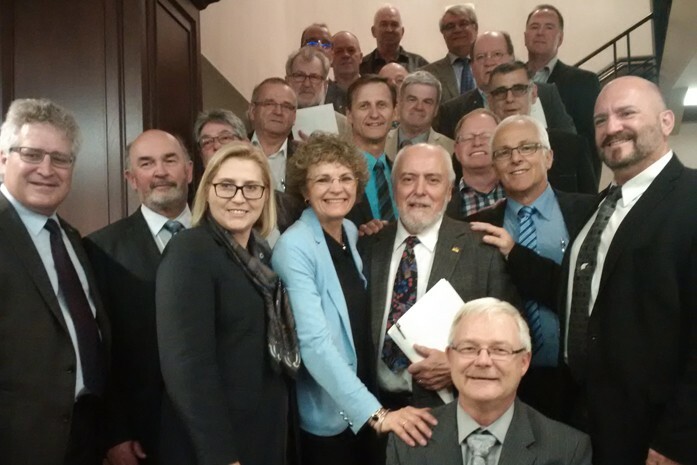 The elected municipal officials highlighted Canada’s green credentials, its world leading forestry practices, and the socio-economic importance of the forest products industry to hundreds of communities across the country. Because it is so important, we’re posting links to several news stories and press releases in French and English to give you the full picture of what happened. We also suggest reading this article originally published in French on the Radio-Canada website.